﻿﻿﻿ We’ve had a rare early fall rain in California this week that soaked the ground and dusted the Sierra Nevada with snow. A storm dumped more than an inch of rain on parts of California’s agricultural heartland in less than five hours, flooding streets, uprooting trees and soaking a bumper crop of raisins drying in vineyards. A live web cam at China Peak in the central Sierra Nevada showed snow accumulation on the slopes. 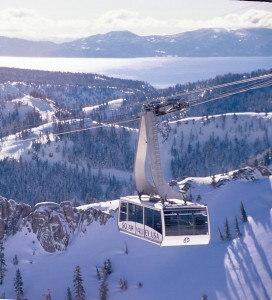 Squaw Valley USA reported more than a foot of new snow last week. The snow forced the closing of the 9,300-foot Tioga Pass through Yosemite National Park. The early storms are not unheard of, but they are rare, the National Weather Service said. But, the change in the weather is a signal to rethink the garden and get planting. 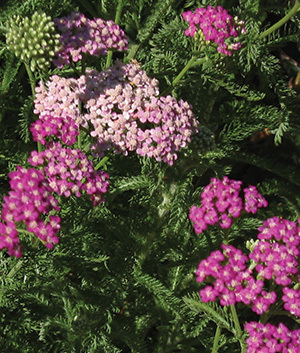 To help with the effort the horticultural staff of the arboretum at the University of California, Davis have identified 100 tough, reliable plants that have been tested for hardiness and suitability in the arboretum. These All Star plants are easy to grow, don’t need a lot of water, have few problems with pests or diseases, and have outstanding decorative qualities in the garden. 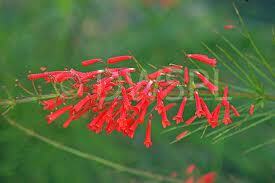 ﻿Many of them are California native plants and support native birds and insects. Most All-Star plants can be successfully planted and grown throughout the state. This spade work on the part of researchers and commercial nurseries takes a lot of guesswork out of planting and saves home gardeners money in the long run because some of the variables have been removed, which helps ensure planting success and a return on your investment in landscaping. If you haven’t been to your local arboretum lately, now is a great time to visit. These plant collections are as old as the Egyptian pyramids. The ancient Pharaohs collected and planted exotic trees—bringing ebony from Sudan, pine and cedar from Syria—to plant in mortuary gardens. The first arboretum was the Trsteno Arboretum, near Dubrovnik in Croatia. The date of its founding is unknown, but it was already in existence by 1492. Here in California the Arboretum All-Stars program is a joint project of the UC Davis Arboretum and the California Center for Urban Horticulture (CCUH) in collaboration with other partners throughout the state. The experts have collected and display these 100 plants to help home gardeners make eco-friendly plant choices that will enhance the beauty and sustainability of their landscape. *Pacific Gas and Electric Company recommends planting vegetation that is power line friendly in areas near power distribution lines. Power line friendly plantings grow to a mature height of 25 feet or less. Did you know that half of the water we use at home goes into our landscapes? Based on urban water testing done at UC Davis and UC Riverside, both water and chemicals/fertilizers are over-applied by home gardeners and the excess contaminates soil or is flushed into the state’s waterways. Where’s a gardener to start? Watering home landscape plants properly is one of the most misunderstood problems facing the average gardener. You need to know more than your soil type and root zone depth; it also helps to know how much water your plants need. Irrigation treatments range from high to extremely low and plant performance is evaluated to determine the appropriate amount of water for a particular plant to thrive. Check out more information about the irrigation trails at UC Davis in our newsletter Project Spotlight. Research like this is informing both industry professionals and backyard gardeners about how much water their plants require. Watering to the specific needs of our plants can save us from wasting our money and sending one of our most precious resources, water, down the drain. Tip: Visit your local arboretum before you buy landscaping plants. It’s always a great walk and a great way to save money on home landscaping.